We are a full service partner for the nutritional and pharmaceutical industry. 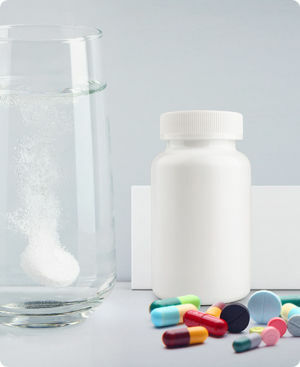 We tailor-make vitamins, minerals, health supplements and speciality tablets. As a leader in contract manufacturing we develop and manufacture your health brands. The two things that matter the most to us are customer focus and true partnership. Thompson & Capper customise formulas to meet your needs, from idea to ready-to-go products! We know the market insights and all the latest trends to bring innovative ideas into your portfolio. Transform your nutritional ideas into successful products with us.